Watkins Glen is a small village snuggled amongst rolling hills covered in vineyards and estate wineries on the southern shore of Seneca Lake in New York's gorgeous Finger Lakes Region. The village is a perfect starting point for fun weekend outings in the magnificent Watkins Glen State Park through a spectacular gorge with 19 waterfalls, all easily accessible via a 2.5-mile trail. Watkins Glen International is a world-known car race track. 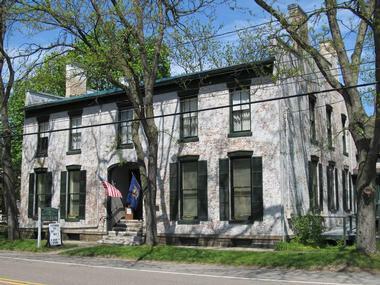 Located in Montour Falls, near Watkins Glen and Seneca Lake in the New York’s Finger Lakes Region, the Brick Tavern Museum and Wickham Rural Life Center occupy a grand Federal-style structure completed in 1828. The museum’s exhibitions tell the story of Schuyler County’s rich past through exhibits such as Native American textiles, medical artifacts, fashions, transportation, and industries in the area. The museum’s excellent research room makes it a popular stop with genealogists. Located in the same building, the Wickham Rural Life Center offers exhibitions on the rural life in the area in late 19th and early 20th centuries. Both the museum and the center are managed by the Schuyler County Historical Society. 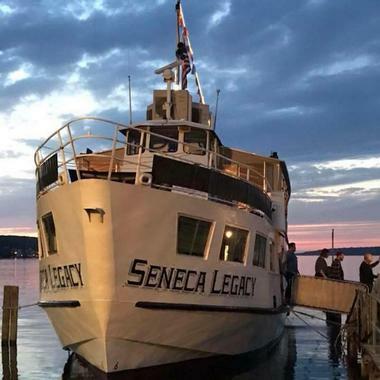 A visit to Seneca Lake is would not be perfect without taking one of Captain Bill's Seneca Lake Cruises. Located at the far southern end of Seneca Lake in upstate New York. You can take a dining cruise on their finely appointed Seneca Legacy ship for dinner, lunch, or afternoon cocktails. You can also choose a sightseeing cruise on the Stroller IV, captain Bill’s vintage 49-passenger vessel. For an hour, you will cruise along the beautiful lake and enjoy the scenery, peace, and quiet. You can also relax on the edge of the lake in Seneca Harbor Station and enjoy a meal in their restaurant on the sandy beach patio. The views are breathtaking. Castel Grisch is a quaint winery established in 1983, set on a magnificent 150-acre site with a breathtaking panorama of Seneca Lake. About 40 acres are planted with 14 varieties of vines. Castel Grisch uses the freshest, best quality grapes, mostly from their own vineyard, to produce high-quality wines, from dry to dessert and red to white. The tasting room at Castel Grisch is open daily from May to December and besides the winery’s wines, serves light meals such as delicious panini. There is an indoor area and an outdoor patio with magnificent views. The winery is a part of the Seneca Lake Wine Trail and is a popular wedding destination. Spread over 271 acres on rolling green pastures in the scenic Finger Lakes Region of upstate New York, Watkins Glenn Farm Sanctuary offers home to over 500 farm animals rescued from various unfortunate situations. Visitors can spend the day at the sanctuary and let the guide tell them the stories of the pigs, cows, turkeys, and many other animals that now live happy lives in a lush, natural environment. There is an informative visitor center with a gift shop and a small scenic deck. The Farm Sanctuary can easily be found – it is located next door to the Sugar Hill State Forest. Farm Sanctuaries are a network of domestic animal shelters all over the country that provide home to animals in need and educate visitors about the realities of the factory farming industry. 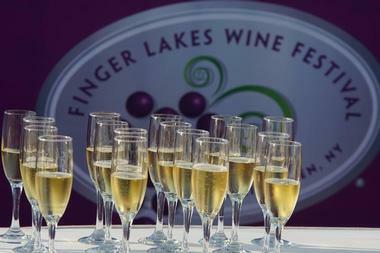 Finger Lakes Wine Festival and Exhibition is a popular three-day event held every year in July at the Watkins Glen International race track in Watkins Glen. 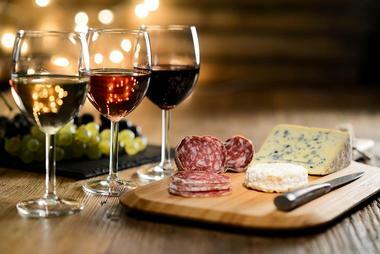 The festival showcases over 90 wineries, restaurants, hotels, and vendors of other products such as musical instruments. The festival brings local artisans, musicians, chefs, and thousands of visitors who come to enjoy great wines, food, live music, and events such as cooking classes and culinary demonstrations. Visitors can also find items such as hand-made chocolates, cigars, candles, oil paintings, and much more. All exhibitors are under tent, so the show goes on rain or shine. The festival is organized by Watkins Glen International. Glen Mountain Market Bakery & Deli is Watkins Glen’s most popular spot for a good coffee, fresh pastries, and delicious cold cuts. The market is located on the north end of town and is popular with locals as much as with visitors. It offers a large selection of fair trade, freshly roasted, pesticide-free coffees. They are currently selling local roasters Bob & Junes as well as Gimme! Coffee beans, roasted only a few miles from the market. The bakery sells daily baked fresh breads you can also find in many local restaurants and hotels. There are also cookies, French-style pastries, brownies, and bars of all kinds. There is also a variety of gluten-free options. The New York style delicatessen makes great fresh sandwiches and wraps, salads, home-made soups, and many house-made condiments. Cheeses and eggs are all sourced locally. Grist Iron Brewing Company is a popular local microbrewery in Hector, NY, in the beautiful Finger Lakes Region. Founded in 2015, the brewery produces a range of unique varieties of beer, all made on-site in the traditional American style with their own slight twist. To make as many of their friends happy as possible, the folks at Grist Iron brew a wide range of different styles and flavors. The brewery’s tap room also offers delicious fresh pub grub, and the menu is chosen to pair well with what's currently on tap. There is live music almost every weekend and many different special events throughout the year. Hector Falls is a majestic waterfall that tumbles over a large expanse of limestone and shale rock on its way to Seneca Lake. The upper third, about 50 feet of falls, is visible from the roadside of the Rt 414. The lower parts of the falls are on private property and can be seen by the public only from a boat. But, it is well worth renting a boat or joining a tour in order to see the entire massive cascade of the falls. The source of the falls is Hector Falls Creek, which drains a huge area, including parts of the nearby Finger Lakes National Forest. During a dry summer, the water flow gets reduced to a trickle, but there is always at least some water. The falls are listed as 165 feet high, but are actually a lot taller, counting all the cascades. Located in Schuyler County, just up the hill from Watkins Glen and a short drive from Ithaca, NY, Painted Bar Stables offer year-round guided trail rides. 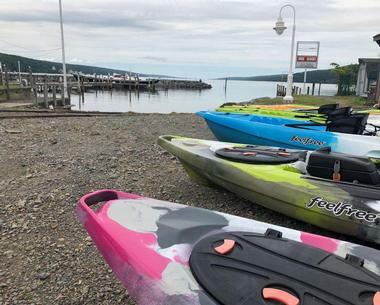 The trails run through the incredibly scenic area of the Finger Lakes with cascading waterfalls, beautiful lakes, and glacier-carved rolling hills. They also offer lessons, horse leasing, and boarding of horses. Their well-trained reliable American quarter horses and American paint horses guarantee a secure adventure for riders of all ages and all skill levels. Each ride is designed by carefully matchmaking horses with riders and the perfect trail – smooth or rugged – for the best possible experience. Groups are normally small and intimate, but the stable can accommodate groups of 15 riders if requested. Rainbow Falls is part of the incredibly scenic Watkins Glen State Park in the village of Watkins Glen, at the southernmost tip of Seneca Lake. 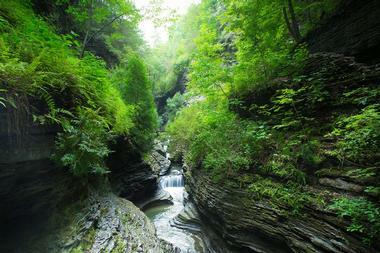 Watkins Glen State Park is the most famous of all the Finger Lakes State Parks. The glen's stream drops 400 feet past vertical 200-foot cliffs, forming 19 waterfalls along its course. The path winds along the gorge over and under waterfalls. Rainbow Falls can be reached by hiking the fairly easy and popular Gorge Trails, and is one of four named falls in the park. It is located above the largest, the 60-foot Central Cascade, after crossing Glen Creek and a stone bridge. It is a convergence of several thinner streams that drop vertically into a shallow pool. The whole area is incredibly scenic and lush. Rooster Fish Brewing is New York State's first farm brewery. It offers unique world-class craft ale using locally sourced ingredients. Rooster Fish Brewing unveiled their first official beer in 2004 at the Crooked Rooster and Wildflower Café, which is still running strong in the location near the brewery. The brewery offers a rotating selection of at least five small-batch craft-style beers and up to four seasonal and special brews. Sample their brews in a relaxed cozy tap room and beer garden with picnic tables and a breathtaking view of Watkins Glen. You can bring your own snack or get some from a food truck parked outside. Scuteri's Cannoli Connection is a family-owned and operated bakery and cake shop that is best known in the area for their fantastic cannoli, that most iconic of all Italian sweets. Scuteri’s have been offering their sweets to the folks of Watkins Glen and the entire Finger Lakes Region since 1971. Besides the delicious cannoli (they come big, small, and dipped in chocolate), they have been also offering tiramisu, Italian cookies, rum cakes, and many other baked goods. They also make great baked pizza and have a special offer on pizza, wings, and garlic knots, a perfect combination for a game night with friends. The Seneca Lake Wine Trail is one of the most popular activities for the visitors to the Finger Lakes Region. Snuggled in the lush nature of the incredibly scenic Seneca Lake, the 35 member wineries who are part of the trail invite visitors to experience the area’s rich history, beauty, and world-class wines. Located in the heart of New York’s Finger Lakes Region, the local climate supports the vigorous growth of hardy native grapes as well as premium hybrids and more delicate grape varieties such as chardonnay, Riesling, cabernet franc and pinot noir. Most of the wineries on the trail use grapes from their own vineyards to make their wines. Besides offering wine tasting, trail members offer food and wine pairing and special events such as performance art, live concerts, yoga in the vineyard, and much more. Located a short drive from the gorge in Watkins Glen State Park in the hills above the magical Seneca Lake, Seneca Lodge has been a local landmark and a home away from home for vacationers, fishermen, hikers, and racing enthusiasts for over 50 years. The rustic Adirondack-style wood structure is cozy and comfortable, with a superb restaurant on the ground floor that serves American cuisine with comfort food made from fresh local ingredients. The white tablecloths and stone walls add a touch of elegance, and the Watkins Glen Grand Prix winners’ laurel wreaths give it a cosmopolitan air. The views of the surrounding hills are spectacular. 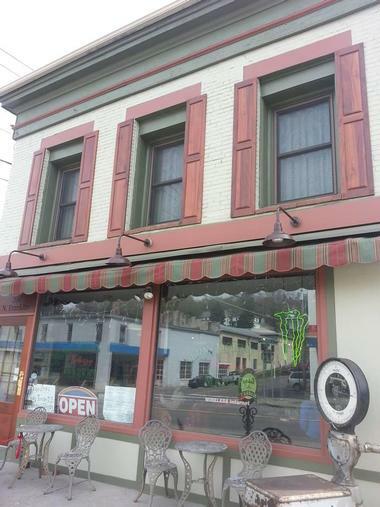 If you do not know where to look, you could easily miss the best coffee in Watkins Glen. 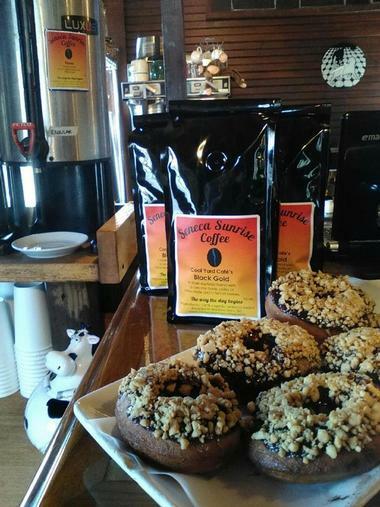 Seneca Sunrise Coffee is an artisanal small-scale coffee roaster based in the village of Watkins Glen, in the heart of the Finger Lakes Region. While they do not advertise their coffee as organic, all coffees they sell are certified organic, shade-grown, and fair-trade and come from a single source from all over the world. They sell their coffee from a small store on the ground floor of a home in the heart of the village. They also offer their coffee brewed, hot or cold, as well as the beans. You can buy their beans at local grocery stores and many other retail locations. Owner and guide of Summit to Stream Adventures Mark Moskal is a local guy who promises to take you on an unforgettable adventure of Finger Lakes, whether you want to go charter fishing, kayaking, archery hunting, or fly fishing. The region of Finger Lakes consists of eleven lakes, formed by the work of glaciers in central New York State. With eleven lakes full of salmon, lake trout, and rainbow trout and lush surrounding nature, with the help of your experienced guide, you can see the area in a way that visitors do not normally get to see. 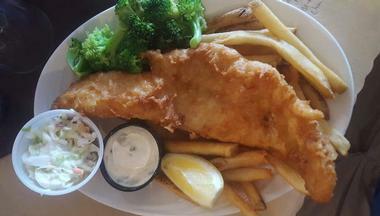 Captain Mark shop is located in Seneca Harbor Park, Watkins Glen, NY, next to the Village Marina Bar & Grill. 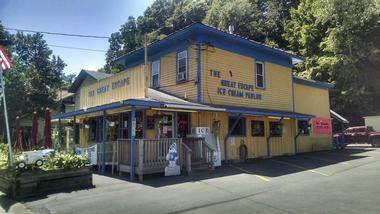 Just south of the state park, in the heart of the village of Watkins Glen, NY, is a unique ice cream parlor. It is family owned and has been operating for more than 30 years, serving more than 30 flavors of soft or hard homemade ice creams, frozen treats, and cakes as well as Italian gelato. They also offer vegan and non-dairy items. Everything is made fresh and to order. The ice cream cakes and pies can be made hard or soft, in any ice cream flavor you wish. They can be filled with nuts, fruit such as strawberry or pineapple, caramel, hot fudge, butterscotch, or any candy. You can also bring any photo and its edible version will be printed on your cake. 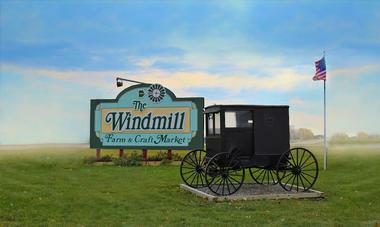 Located on NY Route 14A about halfway between Penn Yan and Dundee in the Finger Lakes Wine Region, the Windmill Farm & Craft Market is a large farm and craft market and, after about 30 years of operation, has become a premier tourist attraction of the region. About 200 vendors set up their shops here, selling everything from fresh produce, prepared food, and clothes of all kinds to tattoos, furniture, and even vintage cars. Most families spend the whole day, starting with a hot breakfast, later picking up fresh produce to bring home, browsing antique toys and musical instruments, and finally enjoying a lunch and a free show or concert in the shade of surrounding pine trees. Watkins Glen International is a world-famous car race track located in the village of Watkins Glen, NY, at the southern end of Seneca Lake. It is known around the world as the home of the Formula One United States Grand Prix for the last 20 years. 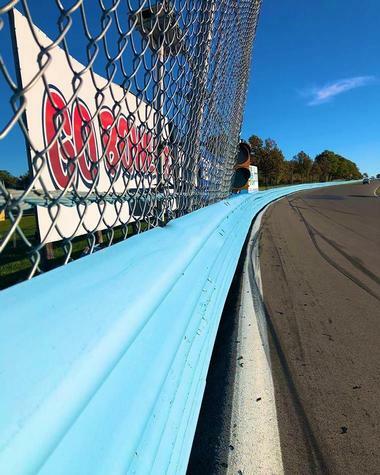 The racetrack is also home to racing of almost every other class, such as the IndyCar Series, the World Sportscar Championship, Can-Am, Trans-Am, Monster Energy NASCAR Cup Series, and the International Motor Sports Association. Before the current racetrack was constructed in 1956, the village’s public roads were used for races. Watkins Glen International is the mecca of North American road racing and is extremely popular among car racing fans and drivers. The circuit also hosts music concerts, such as the 1973 Summer Jam with the Grateful Dead. 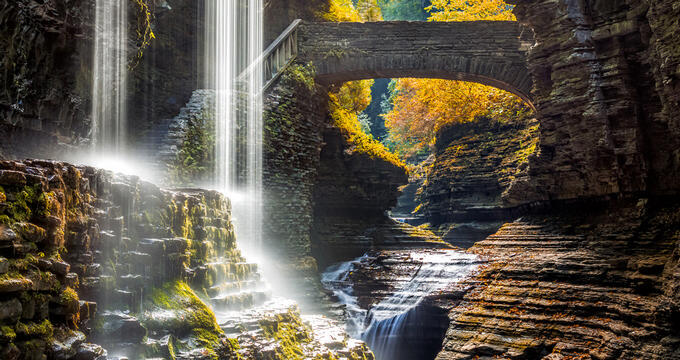 In a region full of spectacular natural areas, Watkins Glen State Park is considered the most beautiful and is the most popular of all the Finger Lakes State Parks. The stream runs through a 2-mile long glen, dropping 400 feet past vertical 200-foot cliffs, creating 19 waterfalls along its course, four of them major. The trail runs through the gorge, winding over and under waterfalls and through the lush forest, overlooking the gorge from a number of spots. The park is located in the village of Watkins Glen and offers easy and pleasant recreation. It has an Olympic-size pool, scheduled tours through the gorge in the summer, campsites, and picnic facilities. The fishing is excellent in nearby Seneca Lake and Catherine Creek.